The North Mymms History Project has digitised and published a number of historical items, which are now available to view online for the first time. 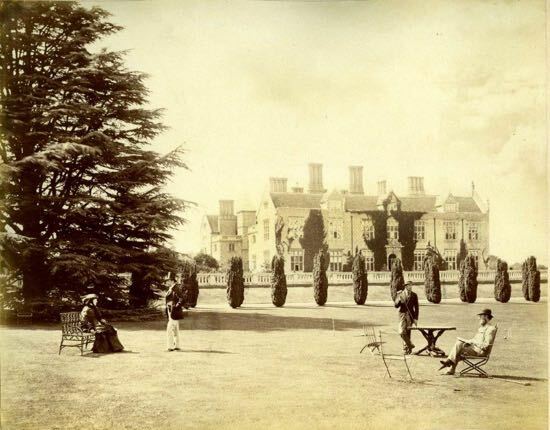 A collection of five old sepia photographs of North Mymms Park, thought to be the earliest ever taken, has been uploaded to the site. They were found in a folder at a local farm. 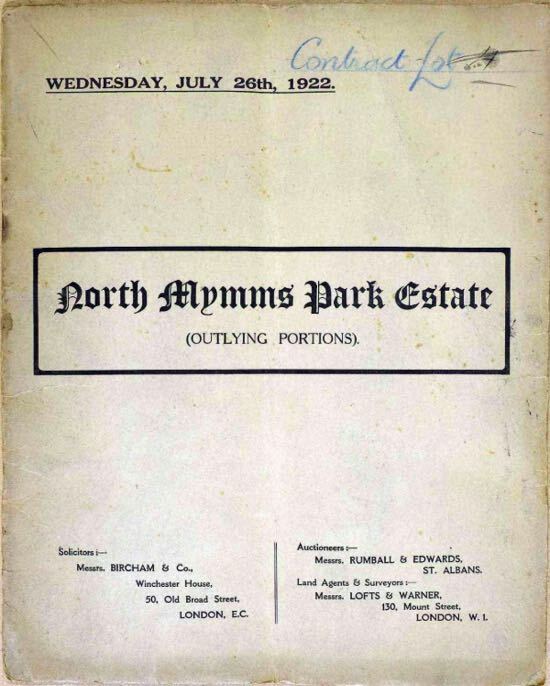 And an auctioneer's brochure for the sale of 800 acres of North Mymms Park in 1922, has also been found, digitised and uploaded. The two items are the latest in the growing collection of images, documents, and features added to the North Mymms History Project, a free online resource of historical information about the Hertfordshire parish. The project is run by four local volunteers. There are now more than 150 items on the site; at the start of the year there were 40. The bulk of the material has been contributed by local residents, historical archivists, photographers, and amateur historians. Items are loaned to the project, scanned, formatted, uploaded, and returned. The aim is to digitise the wealth of local information that currently exists before it is lost. If you have any photographs or documents about North Mymms local history, the project would like to hear from you. You can contact the team behind the site by using the contact form at the bottom right of any page on the site. If you would like to be updated any time a new local history feature is added to the North Mymms History Project, you can click here and add your email address. Be sure to look out for the confirmation email, which you will need to click to complete the process. You will then receive email notification when any new material is uploaded to the site. If you want to comment on this item you can use the comment box below. All comments are moderated, so there will be a slight delay before your contribution is published.